Get developed smart products to increase productivity & quality of life. ChicMic create & deliver IoT apps that you dream. We, at ChicMic, assure to bring you the best IoT App Development solutions to monitor & control all devices hassle-free. Since 2012, we are catering to the needs of customers from different verticals. With the next generation of internet connectivity, we transform your devices into smart devices. Whether it’s about Smart Cities, Home Automation, Infrastructure Automation or Healthcare, we take pride to offer reliable IoT solutions. Internet of Things Application Development Services by ChicMic include Wireframe Design & Development, Prototype Design, Industry Analysis, Database design, Software Modules, Library and Plug-in Requirements, Implementation, Testing. 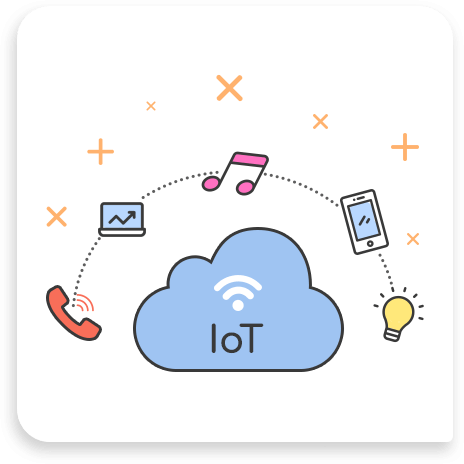 We as a prominent IoT service provider enable devices to connect to each other to communicate. We deliver world-class apps based on quality IoT design & development services to connect people & devices. Our IoT developers have developed many IoT apps that support the MVP model. With our expertise in IoT Design & Development, we developed TextSpeak Notify using iBeacon technologies for seamless functioning & connectivity. IoT developers have developed many IoT apps that support the MVP model. With our expertise in IoT Design & Development, we developed TextSpeak Notify using iBeacon technologies for seamless functioning & connectivity.